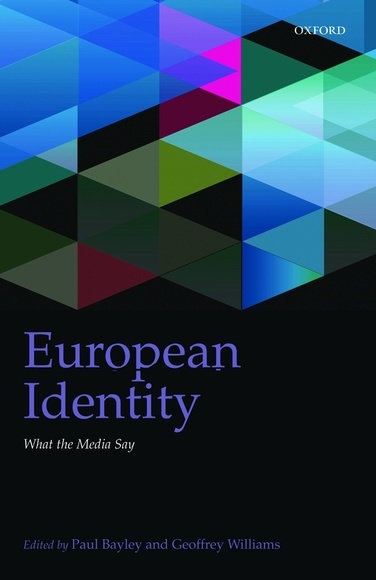 European Identity: What the Media Say, Paul Bailey & Geoffrey Williams (eds), Oxford University Press £55.00. This volume presents parts of the findings of the IntUne Project, a transnational quadrennial project questioning the idea of European citizenship in an ever closer Europe. As researchers across Poland, France, Italy and the UK analyze television news and newspapers, the reader learns that the European Commission appears overwhelmingly as the heart of EU governance; that Italian newspapers feature more negative representations of refugees and immigrants than UK newspapers; and that the idea of ‘European’ history remains multifarious and uncertain. Researchers used an innovative methodology combining quantitative (computer-assisted analysis) and qualitative methods (discourse analysis) that will be particularly exciting for academics in linguistics and media studies. Yet, the authors were also careful to write in layman’s terms for anyone interested in issues of European institutions, identity and governance. Although the linguistic plurality of the volume makes it original, one can regret the absence of Germany in the project. Similarly, the online evolution of news media, and more generally the material context of news production are not addressed. But European Identity provides a thorough overview of the language used by the media to represent Europe – and shows, dialectically, how the media contribute to constructing a certain idea of Europe.